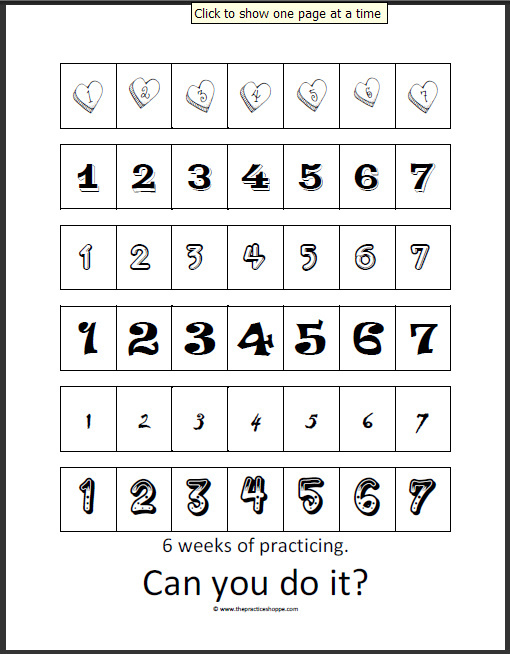 This is a practice chart I made a long time ago, but have never used it until now. My girl's teacher decided to give it out to all her students to have a SIX WEEK PRACTICE CHALLENGE. Practice every single day (including the day of the lesson, Sundays, Fridays, Saturdays, Holidays, Birthdays, etc.) for six weeks. If you can do that - go for 100 days. 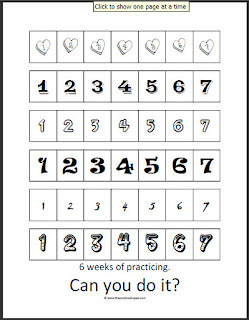 If you accomplish that you could even try for 1 YEAR of practicing without missing a day. Their teacher puts a plaque on the wall for all the students who practice for 1 year (or more.) In her 30+ years of teaching she has about 10-15 plaques on her wall. It is no easy task to practice without missing one day. We decided to do the six week challenge and we are on day 8. For my family we usually don't practice the day of the lesson. I don't have any qualms with practicing on Sunday, but sometimes I'm just too (ummm, busy isn't the word....lazy?) Fridays I teach from 6 a.m. to 6 p.m. with only a few hours in the middle when the kids are in school. After teaching all day - I want my weekend so it's hard for me to practice with the kids that day. So, practicing every day is a challenge for my family, but we are up to it. After only 8 days here is what I've noticed! 1. We were prepared for the lesson. We did not have to be guilty or nervous about going to lessons because we knew we did the best we could do. 2. Initiating practice was easier. Once in the routine, getting the violin ready and sitting down was just what we did. It hasn't been a battle. I have noticed that instead of saying, "It's time to practice now." I've changed it to, "We need to practice (before you go to school, before dinner, etc.) - when would you like to practice?" The kids response was usually, "How about 10 minutes." This gave them the ability to choose and once that ten minutes was up..."It's time to practice." "Okay mom." 3. Review is actually fun. We differ when we practice review. Sometimes at the beginning, sometimes at the end, sometimes scattered throughout the practice. But the pieces have been fun to play because they are easier. Practice more - playing gets easier. 4. We are learning faster. We struggled for months through Minuet 1 and Minuet 2 (when I was sick). Now, since the beginning of January we've perfected Minuet 2 for the recital AND learned Minuet 3, Happy Farmer, and previews to Gossec Gavotte. We are really moving. My oldest daughter just started book 7! 5. She is playing more beautifully. We have been working a lot on tone. My youngest daughter has really struggled with having a deep beautiful tone. She likes to play skimming the strings with her bow. Her legato bows and sticky tone in her pieces has really improved. Humph! It's amazing how playing gets easier when you practice! 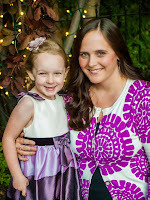 I'm so proud that my daughters have been up to the challenge. Let's just hope we can get all the way to six weeks!...100 days....maybe even a year! I have a student who practiced every day in 2011 except for two days the family was on a hike. They find it easier to just practice every day - there's no question about if, only when. I think the parent encouraged the student in meeting her first goal (100 days? ), but now it is totally the student. The mom says, "You know, it's okay to take a break," but the student wants to do every day for a year again. A few days a week might only be for 5 minutes, but most days are at least 45. The student is almost 10 and this is her fourth year of cello lessons.